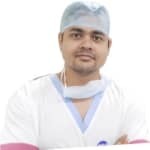 Dr. Praveen Chaturvedi is working in ASG Eye Hospital as corneal, lens and Cataract (Phaco technique) surgery specialist. Dr. Chaturvedi is having an experience of doing 1200+ Cataract (Phaco technique), Q-Lasik and Caratoplasty surgeries. Symptoms like pain, watering, itching, sticky discharge, then only it can be treated. Till then put genteel eye drop 3 times a day and optic eye drop 2 times a day for a week. Hello take Argentum nitricum 30, 3 drops once daily and use Euphrasia 10%, eye drop , 2 drop in each eye twice daily. Revert after 7 days. My both eye become red when I watch t. V. And if I work for longer period in my laptop. Use of some drops give rest for a while. But not permanently. Suggest me something. Hi, I am 22 years old, my eye site is 6.0 and I am using Purccon daily were contact lens science last 3 years (changing every year as my doctor suggested), I still didn't get any problem, but recently I start preparing for some competitive exams due to that I am wearing more than 15 hours, is it safe? How many hours per day one can wear daily wear contact lens? Any ways wearing contacts for more than 7 to 9 hours will harm your cornea am chances are high to lead to blindness. Contact lenses reduces oxygen supply to cornea and causes rubbing on the corneal surface which in turn lead to opacity and later ulcer. I am suffering from flu from many days kindly tell the solution of this problem as soon as possible also how to overcome from eye flu? Avoid taking cold stuffs n maintain hygiene. Drink lots of water. Wash your eyes wid luke warm water 2-3 times. Instill euphrasua e/drops 3 times. N take ars alb 30/3 doses followed by s/l. Must take steam daily. N revert after a week. You will b perfectly ok.
Sir. I have eye problem. Sir. No clear in night time. What can I take decision. Any problem sir. Will I hs jsjhsgks jzgsh khsg. Hello, lybrate user, * you should consult an ophthalmologist. * avoid, stress, dust, smoke. * clean your eyes, with normal water, twice a day. * homoeo-medicine (pill no- 40) @ physostigma 30-6 pills, thrice a day. Take, care. Redness, itchiness and watery eyes are common symptoms of eye allergies. Pollen, mold, dust and pet dander are common allergens that trigger such allergies. Other triggers include adverse reactions to cosmetics and eye medication such as eye drops. Being allergic to certain food items rarely causes eye conditions such as itchiness or excessive tearing. When the surface of the eye is exposed to allergens, it releases histamines. This causes itchiness and makes the eye red and watery. However, sometimes these can also be symptoms of a larger problem. Itchiness in the eyes and excessive tearing can also be a symptom of conjunctivitis or caused by eye disorders like dry eyes and blepharitis. Ironically,dry eyes is the most notorious factor amongst the above. Watery eyes could also be caused by clogged tear ducts or eyelids that turn inwards or outwards. The best way to keep your eyes healthy is to limit their exposure to factors that could irritate it. Avoid going outdoors during the pollen season especially if it is windy. Wearing wraparound sunglasses can also help create a barrier between your eyes and the allergens. Within the house, ensure that your air filters in the air conditioner are cleaned regularly. Switch to spectacles or consider lasik surgery if you wear contacts regularly and often suffer from eye allergies. Alternatively you could switch to daily disposable lenses to avoid the buildup of airborne allergens on the surface of the lenses. Non prescriptions eye drops that help lubricate the eyes are easily available over the counter and can help relieve itchiness. This can also keep your eyes from drying out and thus prevent watery eyes. The histamines released by the body on contact with an allergen dilute blood vessels and make then abnormally permeable. Antihistamines reduce these reactions by not allowing the histamines to attach themselves to cells in the body. Antihistamines can take a while to react and can make you feel drowsy. Hence it is advisable not to take them when operating heavy machinery or driving. My mother is not see properly her eye site is not proper working how can this problem resolve? Recently I checked my intra ocular pressure and that's more than normal. Doctor told am on border line. What precautions I need to take? While playing games I feel very annoy from my eyes after finishing the game I can't look at the sunlight when light enters to my eyes I feel very Disturbs sometimes water will flow through my eyes I don't feel any pain while water flows did I want to use any specs or medicines? Is it a big problem? What's the remedy for this.